You eat just about everything imaginable on Thanksgiving, so why not the decorations. 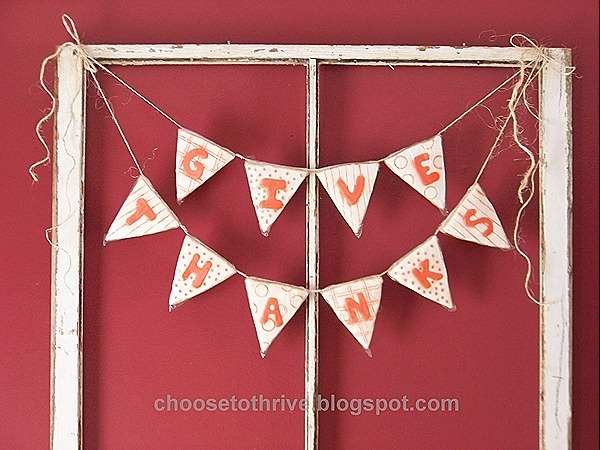 This cute pennant garland from Choose to Thrive is made out of cookies. An edible pennant garland for Thanksgiving. It will come in handy if you don't have enough pie. You can find out how to make a cookie garland over at Choose to Thrive.